British conductor Julia Jones is renowned for the crispness of her interpretations, and the sensitivity of her conducting is echoed in countless reviews. The Guardian speaks of “searing intensity” and Deutschlandradio Kultur highlights the “great lightness and clarity” of her Mozart. 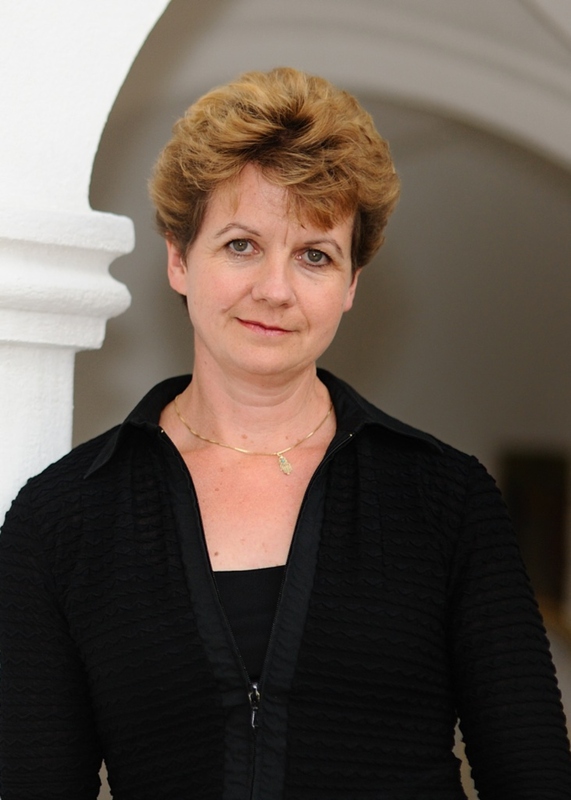 She is General Music Director of the Wuppertaler BOhnen und Sinfonieorchester. Previously, she was Chief Conductor at Theater Basel (1998-2002); particularly memorable productions from this period include Otello, Lohengrin, Der Rosenkavalier and Eugene Onegin. As Chief Conductor of Teatro Nacional de Sao Carlos in Lisbon and of the Orquestra Sinfonica Portuguesa (2008-2011) she conducted operas such as Carmen, Salome and Katya Kabanova as well as a diverse and far ranging symphonic repertoire, stretching from the Baroque period to contemporary music. She maintains dose relationships with Oper Frankfurt, where she has acquired renown with operas including Idomeneo, Die Entfuhrung aus dem Serail, Le nozze di Figaro, Cosi fan tutte and La Damnation de Faust and is a regular guest at Semperoper Dresden (Die Entfuhrung, Idomeneo, Die Zauberflote). At Staatsoper unter den Linden Berlin she conducted Otello, Aida, La traviata, and Le nozze di Figaro. In Vienna she made her mark with Die Zauberflote, La Boheme and Cosi fan tutte at the Staatsoper, and with productions including Don Giovanni, The Adventures of Mr. Broucek, Die Fledermaus, Carmen, Fidelio and Cosi fan tutte at the Volksoper. Other notable engagements include Macbeth, Idomeneo and Otello in Hamburg, Cosi fan tutte at Oper Kan, Die Zauberflote and Cosi fan tutte at the Royal Opera House Covent Garden, Der fliegende Hollander and A Midsummer Night’s Dream at Opera national du Rhin in Strasbourg, Madama Butterfly and Bluebeard’s Castle at Grand Theatre de Bordeaux, Die Entführung aus dem Serail for Salzburg Festival, Aida at the Festival in Macerata, Lohengrin and Macbeth at Maggio Musicale Fiorentino, and productions at the Bayerische Staatsoper Munchen, Welsh National Opera, Teatro Massimo di Palermo, Teatro Carlo Felice in Genoa, Grand Theatre de Geneve, Gran Teatre del Liceu Barcelona, Opera Australia in Sydney and Melbourne, Canadian Opera Company Toronto, and Washington National Opera. Julia can look back on successful orchestral collaborations in the concert hall with the Staatskapelle Dresden, Philharmoniker Hamburg, Mozarteumsorchester Salzburg, GUrzenich-Orchester, Radiosinfonieorchester Wien, Scottish Chamber Orchestra and Yomiuri Nippon Symphony Orchestra, to name but a few. Most recently, she appeared with Dortmunder Philharmoniker, Orchestre Philharmonique de Strasbourg, and the TonkOnstler-Orchester Austria at Grafenegg Festival. In 2016⁄17 she conducted Falstaff at Oper Frankfurt, L’elisir d’amore in her return to Opera national du Rhin, Don Giovanni for Nederlandse Reisopera and Die Zauberflote in her house debut at Seattle Opera, as well as concerts with Sinfonieorchester Wuppertal and on tour with the Orkest van het Oosten. In 2017⁄18, guest engagements include Die Zauberflöte at the Royal Opera House Covent Garden and La traviata at Den Norske Opera, where she previously conducted Der fliegende Hollander. In Wuppertal, Julia conducts Hansel und Gretel and Carmen, as well as a series of symphonic concerts, which show her knack for combining traditional core repertoire with lesser known and seldom performed pieces, which is a signature of her concert programmes.